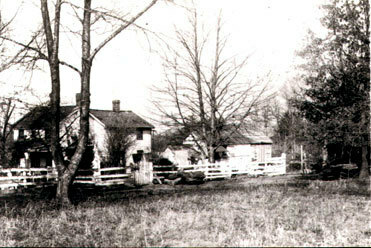 “Home of Moses Parker,” braddockheritage.org/, accessed April 24, 2019, http://braddockheritage.org/items/show/164. Moses Parker, a former slave who purchased his freedom, opened a blacksmith shop on Little River Turnpike with his partner, former slave, Horace Gibson. Gibson and Parker moved to Fairfax from Culpeper, purchasing five acres of land each near the intersection of Guinea Road and Little River Turnpike. By 1878, they owned 400 acres which formed the community of Ilda, likely named after the daughter of Horace Gibson and daughter-in-law of Moses Parker.